Dario Marusic was born in 1957. He spent his childhood in the North-Istrian countryside in direct contact with the Istrian traditional music. Already in high school he began to explore the Istrian music and started to collect the material, later published in numerous articles and three books: Predi, predi hći moja , Piskaj, Sona, Sopi and Strumenti e tradizioni tra Friuli e Istria. Marusic has participated in numerous research projects on fiddling, traditional singing and istrian pipe playing and he has an important role in the revitalizations of traditional groups, and generaly music and musical instruments of northern Istria. In his career he has collaborated with several musical groups and musicians like Angelo Branduardi (Futuro antico II), David Shea (Poem de nuestra signora), The Chieftains and with the Philharmonic Orchestra of Ljubljana . 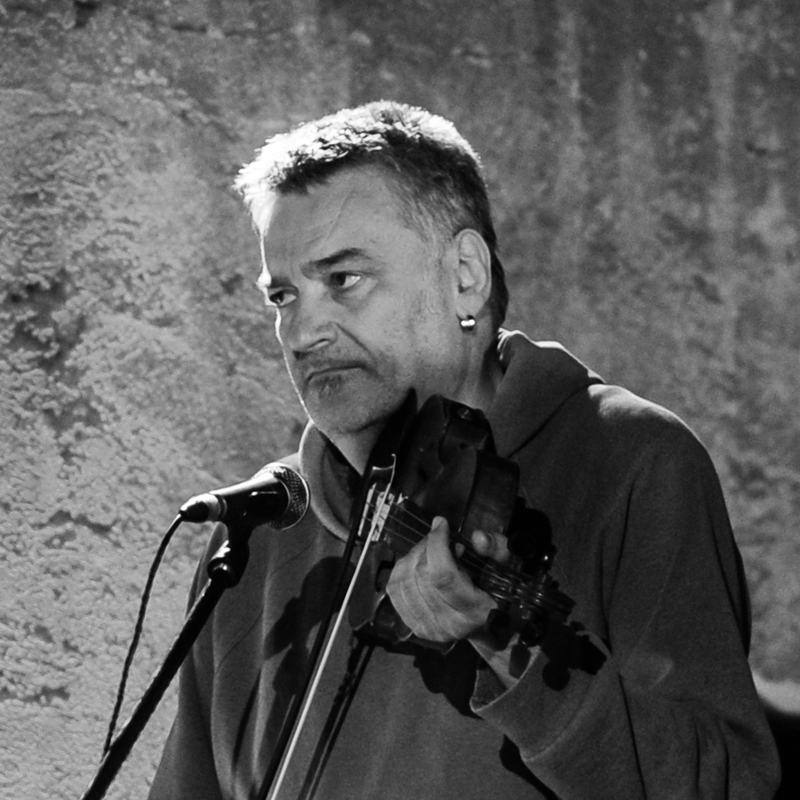 In addition to collaborations, he performs as soloist, with his group IstradMarusic, and engages in research, teaching and conducting music workshops of Istrian music. For the Croatian Ministry of Culture he has worked on the preparation of the “Istrian Ethnomusical Microcosm “, as the Croatian proposal for the UNESCO Proclamation of Masterpieces of the Oral and Intangible Heritage of Humanity . Presently he is working on a researching project “Praksa viulina i bajsa u Istri-La prassi del violino e bassetto in Istria”. Until now he released 16 albums. – Award for contribution to the preservation of the Istrian identity Alojz Kocjančič 2001.